Each Day Is New- Am I Invisible? What a difference a day makes….24 little hours. Up at the top of “feel good” and we can have the world by a string. The brakes go to the floor and emotions change all of a sudden to something we don’t understand. 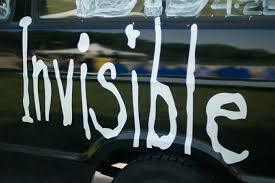 Today I feel invisible. I really do. I don’t feel a real demand for any of my abilities and I feel anyone else could do it better. I feel like I am something that just goes along with the package. A good wife. A business partner. A mother. A grandmother. I compare myself to others and something I feel so inadequate. I keep repeating “I feel”. I just remembered by dad always told me we just can’t go on feelings…we must function on faith. Okay, I am getting some answers to this awful “feeling”. (1) I have been married 49 years and no not all were wonderful, but through faith we are very happy and still in love. (2) Hudson-Gillmor Associates has been in business for 10 years and I know this business was started on FAITH. (3) God richly blessed me with a heart of a mother. Early years were sometimes hard. We had two in college at the same time and we depended on faith for grants, jobs and parking spaces at MU. 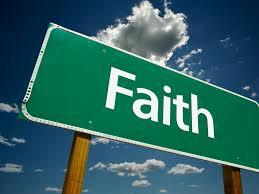 (4) GRANDMOTHER: Yes, faith here too. We waited 11 years for prayers to be answered. I always wanted to be a good grandma like my “Granny Woodrum”. I feel much better and not quite so whinny. I needed to recall some blessings and to know tomorrow will be better. I can see my arm and legs…so I am becoming visible again. There is always something happening in my life or those around me, but I haven’t been motivated to write recently. But…..the….thoughts….are slowly….coming to me now. It has been a little depressing to see the effects of the economy hitting some of our friends. Only yesterday, a neighbor lost his job at Chesapeake Energy. The guys working in a downstairs office had to close his business. People I know even more personally are losing home, cars and they don’t know where to turn. We should thank God every day that we have a job and count it as blessed to get up early and go to work. Actually, we do pray at our company for God to direct and guide us during these troubling times. I have not been going into the office on Friday for some time. My husband and I have been using this day to run errands, have lunch together or chill out. I have been married to Mr Basil for 47 years and I love him more everyday. This was a very rambling blog, but I have broken my silence and spoken. More will follow later. I am reposting an earlier blog entry today. 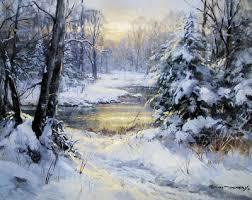 We have a huge snowfall here in West Virginia today and I am thinking of my Granny Woodrum. I can remember being at Granny Woodrum’s house and the first big snow of the season was on the ground. Everyone was so excited and we would pull back the curtains to view the white that covered the ground and trees. This was a time of celebration! It is time for Snow Ice Cream. Granny had a blue porcelin bowl that would be brought out to mix the ingredients. She would mix Carnation milk, sugar and vanilla in the bowl and give it several good stirs with a whisk. We would go back in the house and we would all enjoy a wonderful treat that came with the first snow fall. Granny always did know how to make memories that would be with me for years to come. I wish Granny would still be around and we would share some Snow Cream when the first snow arrives this winter. I told you I would share some of our family recipes during the Christmas holiday. Now, don’t let the name Potato Candy scare you. This candy is wonderful. My Granny Woodrum (you can read about her on my earlier posts) “always” made this candy for Christmas. Boil 1 medium potato. Peel and mash with a fork until smooth and no lumps. Add confectioners sugar until stiff. You will need to determine how much since it varies according to the size of the potato. Dust a cutting board with some confectioners sugar. Roll out as if you were rolling out pie crust, make it sort of oblong. Spread peanut butter on top of what you just rolled out. 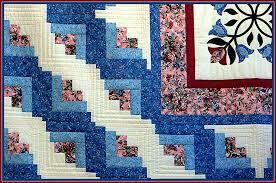 Starting at the wider side…roll up like a jelly roll. Cover in a wrap and chill. Cut in pieces before serving. This is a very simple recipe and people will think you took hours to make it. The temperature was always an important issue. There was an old Roy Crown Cola thermoter that hang above the snake plants. Everyone would compare the temp reading with the radio, to see if the radio was correct. 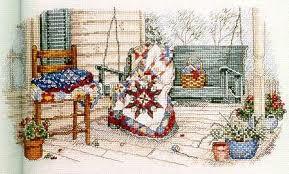 There were things that took place on granny’s porch swing that changed my life. We were having a family gathering on the porch and everyone was talking over the latest gossip. Granny and I were in the swing and I was lying down with my naturally curly head in her lap. I was restless, but I could feel granny’s hand running her hand through my hair and twirling each lock every so softly until I was relaxed. I couldn’t keep my eyes open and I was getting sleepy. The peace that her hand brought to me is still remembered deep within my soul. Years later when I swung my own children and grandchildren in my porch swing……I tried to give them the same soft touch and peace that granny gave me. 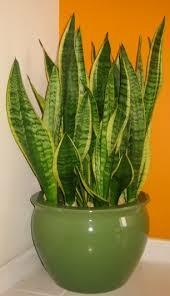 That old porch was so rough and rugged with those ugly old snake plants. The beauty of Granny’s Front Porch went beyond the paint and plants. The beauty was in the people who gathered there and talked about their dreams and disappointments. I wish I could gather all of those people together on my front porch and talk about what we have done today. I would still like for granny to put her hand on my head and twirl my hair, even though it is now grey. Just visiting granny’s front porch in my memories has brought me a portion of the peach which was there so long ago. To this very day I love to sit on a porch and enjoy the pleasant feeling that seems to be there. Maybe I just remember Granny’s Front Porch. There were always two porch swings, one for each end of the porch because everyone liked to “swing.” The old swings would get a fresh coat of green paint each spring, but granny never sanded the rough spots. She just painted over them year after year. The surface was lumpy to say the least. I can still remember those ugly little tables which were made out of cris-crossed twigs and painted green. Some door to door salesman sold them to granny and she thought she had a real bargain. These little tables sat on either side of the front door and always had a pot of “snake plants” in the large round green pots. Now, I have never known what anyone could see in a “snake plant” with those long blades that never bloomed or, as a matter of fact, they never seemed to grow. Each spring they were the same size. Granny’s pride was that she had been able to keep these plants for the last 10 years. There were always long green flower boxes on the porch banisters that were loaded with petunias, geraniums and begonias. Each morning granny would make her rounds to all of the boxes to pinch off the dead blooms and look for the new blooms that were about to burst open. She would always have her little bucket and cup to water each box. The floor of that old porch was painted with battleship grey paint that was as rough as the old green swings. Granny always complained each summer because winter had once again taken it’s toll on the paint. She would just sweep the porch as best she could, get out the paint, and put on another coat of paint. The front porch was the gathering place when bean stringing time rolled around. We lived near granny and we would gather and help her string beans. In turn, everyone helped us string beans too. We always talked about the happenings or the day and would guess how many quarts of beans we would get out of this bushel. For some reason, I believe we thought that by some miracle some bushels contained more than others. I remember this as a time of laughter and fun, not work. Grandpa would always be there and would usually try to tell on of his little off color jokes which granny disliked. To be continued in Part II……….stay tuned. My Little Granny (Woodrum) was simply someone who loved Christmas and grandchildren. This little person with curls all over her head made Christmas a magical event. Weeks before Christmas the Sears Christmas Catalog would arrive in the mail. This was a big event!! Granny would let me know that I better come up and visit and look at the catalog. I would sit in the living room with Pee Paw, Little Granny and Aunt Noka and they seemed to be watching and listening as I scanned the book. The pictures in the book just about took my breath and I would comment about what I liked. There were page after page of dolls, games, and boy toys. Noka would usually come sit with me and ask me to show her what I liked in the catalog. Granny’s back bedroom was off limits during the month of December. I found out later that granny was hiding Christmas gift and she wouldn’t let anyone in that room. That just made me want to snoop even more. I didn’t know it then, but she ordered my Christmas gifts from Sears, the mailman delivered the gifts and Granny hid them. That’s okay. I got to open them on Christmas Eve. Around the second week in December Granny would start making huge pans of Chocolate Marshmallow Fudge. She had a pantry in her kitchen and she would store the pans of fudge until Christmas. One year Granny told me to come up to her house and we would make some candy cane cookies. We made sugar cookie dough and colored half of it red. She helped me roll one piece of white dough to be long like a snake and then roll red dough the same way. We we wound the piece around each other and shaped them to look like a candy cane. Sixty years later and it is still a precious memory. Granny always made a homemade angle food cake for Christmas. She made Seven Minute Frosting and carefully put the icing on the cooled cake. Then she took red cinnamon drop candies & put them on the top and side of the cake. I would sneak in the kitchen while all the “big people” were in the living room talking. I couldn’t resist. I would run my finger along the bottom of the cake and swoop up a big bit of the frosting. I guess my dad must have known I was plundering or into something. I could hear him from the living room, “Brenda, you had better not be into that cake icing or you are going to get a whipping.” Granny would just say, “Now, Don, she isn’t hurting anything.” Granny got me out of a lot of trouble. That icing was yummy.